Biodynamic wine? Organic Wine? Sustainability? In the world of wine, these are terms of confusion for even experienced wine drinkers. In my interview with Rebecca Work of Ampelos Cellars, I received my first coherent explanation of these terms. I hope they help you as well. 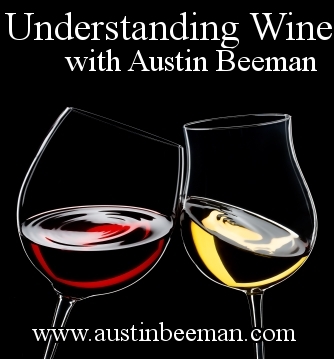 Parts of this video were released as separate episodes of Understanding Wine with Austin Beeman and are collected here for the first time. Hi, I'm Rebecca Work, and the winery is called Ampelos Cellars. It's a winery that my husband and I do all the work ourselves. It's a very small winery in the Santa Barbara/Santa Rita Hills area. We make about a total of 3,500 cases. We have a vineyard as well, 25 acres planted. Two-thirds of what we make comes from our own vineyard. Part One: Organic? Sustainable? Biodynamic? What Does it all Mean? Many people don't really know the difference between those three practices. Basically, you actually have four farming practices. You have conventional, which is basically you spray herbicides, pesticides, artificial fertilizers, try and get the largest yields you can get out of the land. Don't necessarily pay attention to waste management, irrigation practices, any of the farming aspects. Just try and grow as much as you can possibly grow out of the soil. Then you have organic, and organic is, you're not allowed to spray herbicides or pesticides, or use artificial fertilizers. Basically, don't spray any nasty stuff. Organic doesn't say what you must do or how you must do it. It doesn't pay attention to waste management, irrigation practices, any other farming aspects. Just don't spray that bad stuff. You have biodynamic, and biodynamic actually came before organic, so it's been around since the early 1900s. This is not a newfangled idea. Biodynamic is you're not allowed to spray herbicides or pesticides, or use artificial fertilizers, so by default you're organic. But biodynamics says, "Here's what you must do and here's how you must do it." Biodynamic follows the earth schedule and not the farmer's schedule, so examples of that would be, we know that in a descending moon the earth takes in, and in ascending moon, the earth lets out. We irrigate on a descending moon because it takes less water. We get deeper penetrations than if we irrigated on ascending moon. Biodynamics says, "Everything you take out of the vineyard you must bring back." All of our stems, seeds and skins come back. We compost it. We put it back in the vineyard. Biodynamics says, "You must treat everything like one holistic system." We know we have a lot of beneficial insects, so to make sure those insects don't leave our vineyard, every 10th row, it's totally natural. Nobody's allowed to walk in it. No equipment's allowed to go there, and therefore when the tractor goes up and down the other rows, the beneficial insects have a safe place to go and we don't lose them. The thing with Biodynamics, though, is it doesn't look at waste management, employee practices, some of the other aspects of farming. Sustainability is a term everybody's using, but now there are starting to come out some certification processes. We were in the pilot of that. Sustainability breaks farming into nine areas. You have employee practices: do you have a grievance process? Social practices: do you tell you neighbors what you're doing? Don't spray at 5 in the morning. Soil management, waste management, irrigation, and you must qualify a minimum in each one of those areas. We're 100% on solar power, so we've qualified in the energy area for that. With sustainability, you can still spray herbicides and pesticides, certain ones, and use artificial fertilizers. Part Two: Does Biodynamic Winemaking Make the Wine Any Better? The school is still out with biodynamics as to whether it made a difference or not. We have seen a difference in the health of our vines. Example of that is in 2008, it was the worst frost we've had in 35 years. Vineyards around us, all on rolling hills like us, all doing the same frost protection like us, all of us getting out there in the morning to turn on the sprinkler systems, lost 50 to 60% of their fruit. We didn't lose a single thing. We weren't doing anything different from them. They were not very far from us. We think the biodynamic just made our vines stronger to protect themselves against the frost. We have seen in our vineyard where ... We have American oak trees in California. They're protected. You're not allowed to take them out, so you plant the vineyards around them. Problem is, the oak trees taking everything of the nutritional value out of the soil, so you try to plant your rows as far back. We planted it back, but the row by the oak trees just were not doing very well at all. We were about ready to take them out, and over the time of being biodynamically farmed since '05, as of last year those vines were now catching up to the rest of the vineyard, which is telling us there's enough nutrition in the soil to support the oak tree as well as our vineyard. We think just the healthiness of the vines ... Another aspect is in that frost. We got hit in the fall at the harvest time. We got frost at the beginning and we got frost at the end. That meant many of the vineyards who still had fruit out there, the vines totally shut down and therefore were not going to develop any further than where they were. Our vines just kept on trucking, and so we were able to develop the flavors for our wines even though we had that nasty frost. Part Three: What is So Special about Santa Barbara Wine Country? The thing with Santa Barbara is it probably doesn't have an identity, and that's its biggest problem. You think of Napa, you think of cab. You think of Oregon, you think of Pinots. Santa Rita Hills, what do you think of? We've got cabs, we've got Rhones, we've got pinots, we've got everything across the board. I think with Santa Barbara, we are able to get tremendous hang time on our fruit. We don't start our harvest until the end of September, which is a really late time. By having that longer hang time, it allows the flavors to develop so much more. We get so much more complexity, I think, from that in our wines. I think Santa Barbara is doing a awesome job in the pinot area from Santa Rita Hills, the Rhone areas from Happy Canyon, Foxhound. We're starting to really show beautiful sauvignon blancs that are coming out of there now. I think one of the things people don't really realize is really, Santa Barbara's not only a great place for a lot of varietals, but we're not into yet the big, commercialized, artificial kind of thingYou'll walk into many tasting rooms and meet the winemaker there, or you'll meet the owner and winemaker, like me and me husband area. Santa Barbara has a lot to offer. Part Four: What are your favorite wines? Not including anything you make. We’re, especially me, very partial to Greek wines. I know that sounds kind of odd. We've spent a lot of time in Greece. We think Greece has amazing wines that actually doesn't leave the country, and one of my most favorite ones is called Agiorghitiko. It's from Nemea. It's a wine that's so hard to explain. It's kind of like a cab but not really. It's like a cab/Syrah. It's got its own identity, and we just love Agiorghitiko. We try really hard to find that wine. 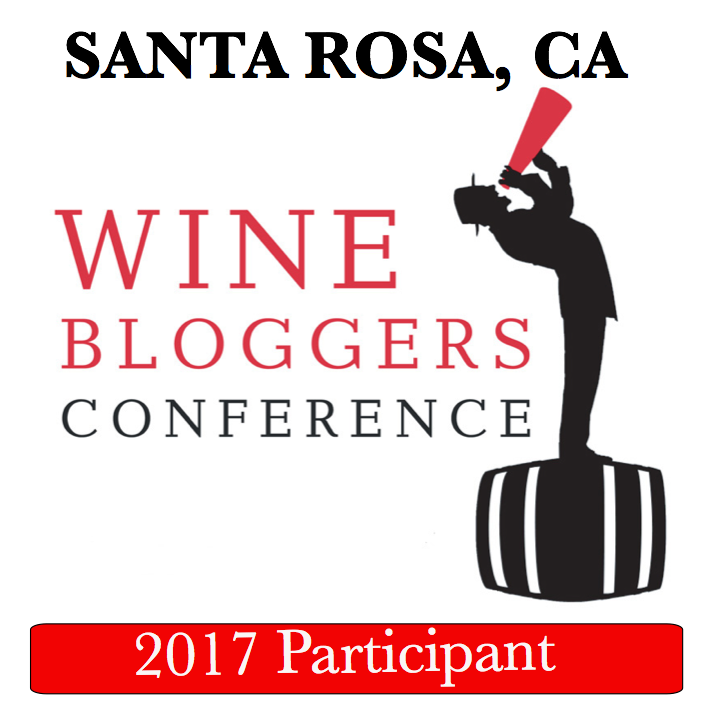 Part Five: What Do You See Happening in the Wine Culture? It’s no longer just something to drink that's good. It's more where we're having a lot of people coming in who want to really learn what goes behind that wine. We have a lot of people who are now interested in coming to work a day of the harvest with us. People have a real kind of desire to learn what goes on in the winery. Why do you do what you do? We're seeing this more and more, especially in the younger generation, who, A, is interested in learning as to what goes behind the wines, but B, is wanting to venture into new kinds of wines that they hadn't had before, like we make a Dornfelder. It's the one time we've made it. It's a German varietal. As far as we know, there's the one vineyard in Santa Rita Hills that has Dornfelder, and most people have never heard of it, or seen it, or tried it. People get excited when they find something unusual that they can take to a dinner party. I think they want to get rid of all of the technical terms around it, but understand what is a clone? Most people don't understand, varietals are pinot noir, Syrah, cabs, and then within each of those varietals you have clones. Most people don't have a single idea what a clone is. I always explain, it's like apples. You have Granny Smith, red delicious, the different ones, and each one of those apples have totally different flavors. The clones we have for like pinot noir are absolutely, totally different, and therefore makes it our spice cabinet to make the kind of style of wine we want to make. People love it. They come out, and then I let them taste the difference between a pinot noir clone 115 versus a 667 versus a triple-7. They can see how those different clones can make the style of wine you want to make. I think people are really wanting to be educated as to what goes into that wine. Hourglass 2012 Cabernet Sauvignon: Blueline Estate and Classic. One of the great things about wine is that everyone is constantly learning. Today, I discovered an excellent, terroir-driven, Cabernet Sauvignon producer that I'd never heard of. Hourglass Winery. This luxury, small-production winery is located as the area where the Napa Valley "pinches" to its smallest point - hence the name. First released in 1997, Hourglass Cabernet Sauvignon has held its own with the great "Cult Cabs" of Harlan Estate and Screaming Eagle, but this was under Pride Mountain and Paloma superstar winemaker Bob Foley. 2012 starts the winemaking reign of Anthony Biagi - formerly of Duckhorn, Plumpjack, and Cade. I visited Hourglass Winery at their Blueline Estate Facility for classes related to The Wine and Spirits MBA program, but also got an advance taste of the new 2012 Hourglass Cabernet Sauvignons. Here is what I thought. Hourglass Cabernets aren't cheap. Nothing in the Napa Valley really is. But if, however, you want a small production, high-quality, estate-bottled, and terroir focuses wine from Napa, this is a heck of a good option.